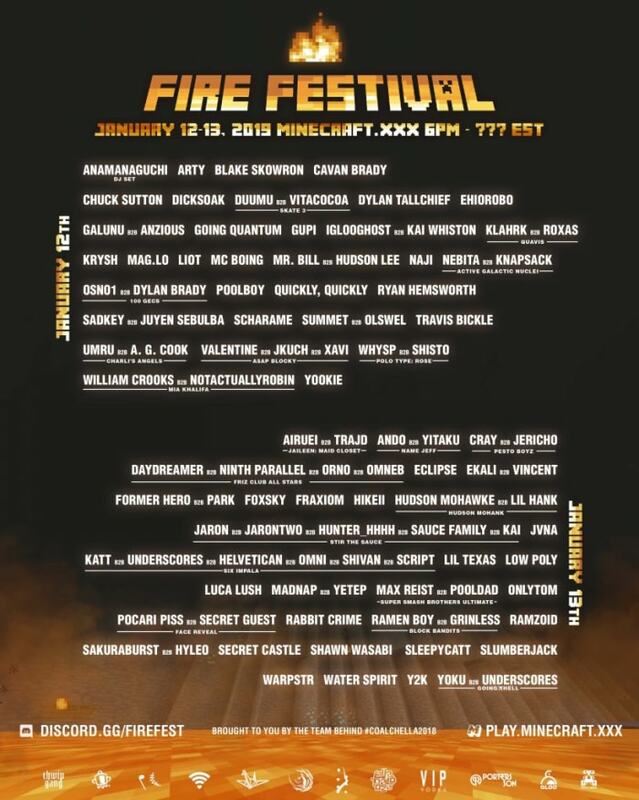 Fire Festival (no, not Fyre Festival) is an exciting new concept that strives to bring game players the best in electronic music of all styles. The two-night show includes performances from Ekali b2b Vincent, Hudson Mohawke b2b Lil Hank, ARTY, Luca Lush, Lil Texas, Slumberjack and Y2K, among so many others. Those who have a copy of the game will be allowed access to the virtual festival grounds (PC/Mac versions only). However, you do not need to own Minecraft to listen to join in on the fun. Listen to the live stream or interact with festival attendees in real time starting tonight at 6 pm EST. 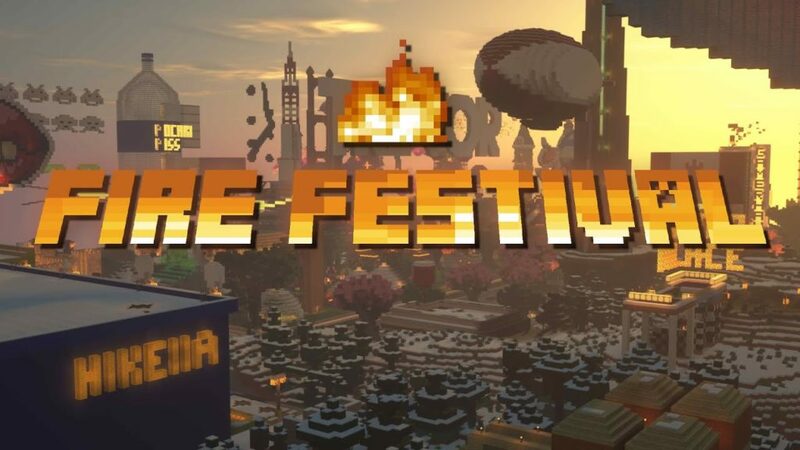 Check out the official Fire Festival 2019 website here for more information. Also, see the full lineup below for tonight’s Minecraft extravaganza. This is going to be fire!